Place your cursor on a window and click-it for more information about the Saint. 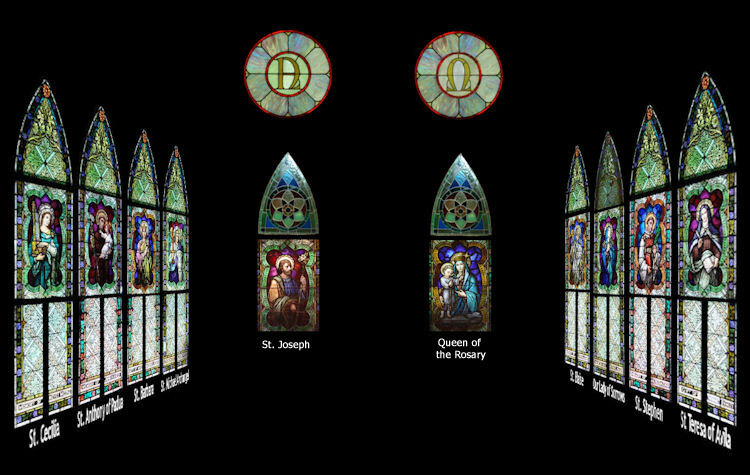 This is a virtual tour of the placing of the stained glass windows, as they would have appeared in the old church. 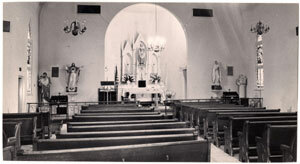 In the present church the windows are placed as in this photo without the arched windows above the Saint’s image, and with the patron’s name to the side of the image. 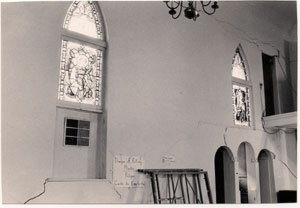 Bellow are how the windows were placed in the old Church just prior to its demolision. 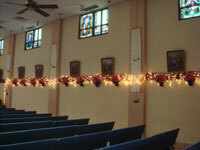 The windows were purchased by Father Vandermaessen sometime during his stay at St. Genevieve (1909 - 1922). They were imported from Belgium and the workmanship is excellent.